Most keen walkers from the U.K. or northern Europe get a bit fed up with the cold damp winter, muddy paths, miserable picnics and daylight fading during the afternoon. 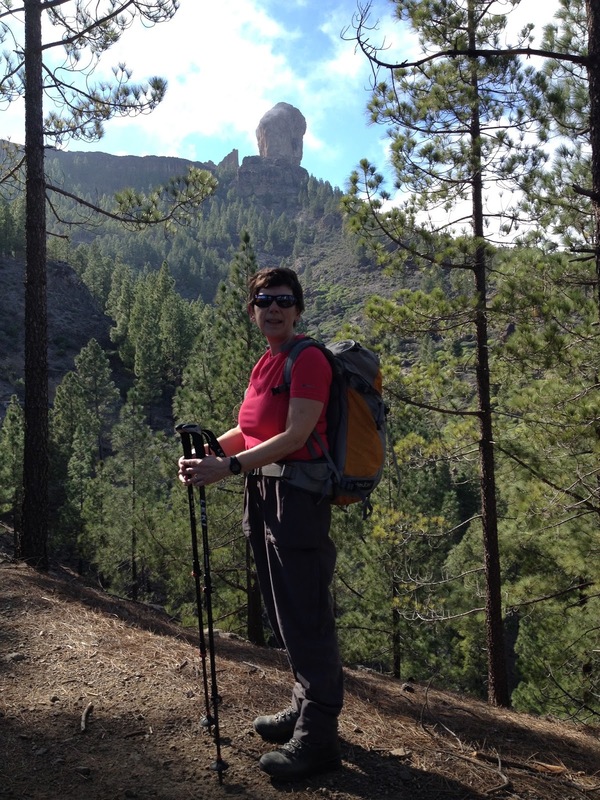 Well everyone deserves some winter sunshine and a walking holiday on Gran Canaria is the perfect antedote to the northern European winter blues! Situated approx 150 Km (90 miles) off the west coast of Africa (Morocco / Western Sahara) and 1350 Km (840 miles) south of Europe; Gran Canaria sits well out into the Atlantic and thus has a cooler more temperate climate than mainland Africa. Throughout the year, the average daytime temperature varies from 20 degrees in winter to 26 degrees in summer. So it is an ideal venue for year round walking. However November to February are the months with the highest rainfall with between 3 and 5 days of rain per month. 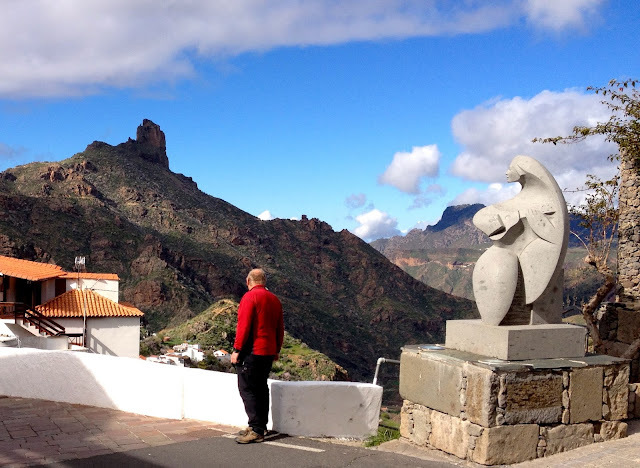 Having previously visited both Morocco and southern Spain for walking holidays, I shall be returning back to Gran Canaria for my winter “fix” of sunshine in early March where I expect to walk during warm days with plenty of sunshine! Take a look at my holiday. What is the walking is like? Sometimes described as ‘a continent in miniature’, Gran Canaria has a variety of landscapes: forests, hillsides covered in pink almond blossom, rocky paths and slopes, almost lunar (volcanic) landscapes, and lush green valleys. Although there are coastal walks, the best hiking routes are to be found in the centre of the island, where the scenery is varied and often dramatic. Most of Gran Canaria is hilly and mountainous so don’t expect a week of flat easy walking. That said, even in the mountains, there are some shorter and easier walks described by the local walking expert Rambling Roger. Expect a combination of mountain (rocky) paths, forest paths, old mule tracks and driveable dirt track roads. Rambling Roger has published a series of walks throughout the Island, which can be purchased online. He also is able to send GPX files of the routes if you want to use a GPS device to aid your navigation. This is a difficult one with no easy answer. Travelling around Gran Canaria even using a car can be a bit slow. We have even found roads closed for repair with no advanced warning on more than one occasion! The greatest concentration of walks are in the centre of the Island. However in the cooler months the centre of the Island is the coolest place so you might prefer to stay on the coast and drive for an hour (scenic drive) to get to your walk. There is also plenty of cheap (for mass tourism) accommodation down on the coast at Maspolomas. It is the road from Maspolomas that you would take to get inland towards most walks. If you are more likely to have shorter walks combined with touring and want to stay somewhere with more character on the coast, then a harbour front cottage in Puerto de Mogan is the place to stay. If you don’t mind it being a little cooler and want to stay in the mountains then take a look at the pretty village of Tejeda, which is where we will be based this coming winter. From Tejeda both short and long walks can be had straight from your accommodation. Rambling Roger is the definitive source of information about walking on the Island. Maps. To accompany Rambling Roger’s walks, Discovery Walking Guides have produced a 1:50 000 scale map of Gran Canaria which is available from Stanfords. 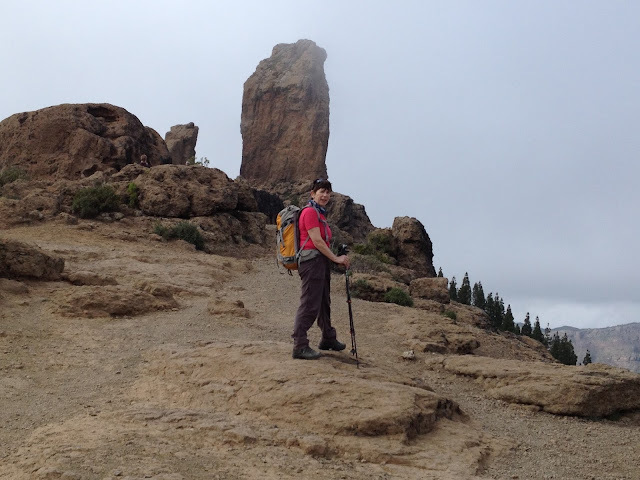 Mountain HouseHolidays organise a week’s walking holiday at the beginning of March each yearbased in Tejeda. Mountain House Holidays is owned by Jane Livingstone and Michael Hunt, both qualified International Mountain Leaders. All of the walks they lead during the holiday have been walked beforehand and researched.